KT Group a self service kiosk manufacturer based in Hong Kong known for its ability to manufacture custom self service kiosks from inception to completion providing the full spectrum of a solution terminal provider for those business that seek high capacity volume manufacturing successfully pitched back in 2010 for a local Moroccan based project in partnership with the local IT services project partner Finapaysystems that involved local Moroccan Ministry of Justice seeking 60 custom self service terminals. 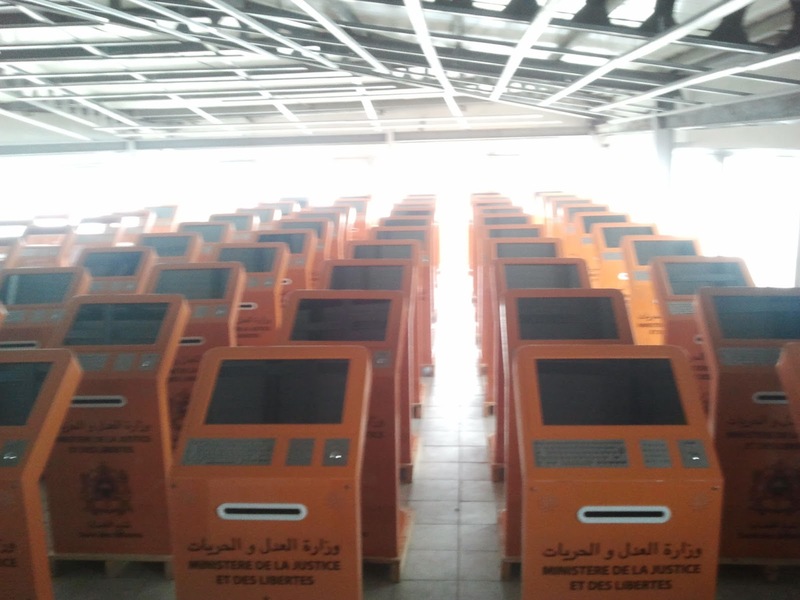 The terminals were to be placed in local courts nationwide in Morocco as part of ministry of justices overall overhaul to digitize all documentation that the courts received and each terminal was fitted with a high speed scanner that was able to reach bar codes each bar code enacted a registration of a document submission. 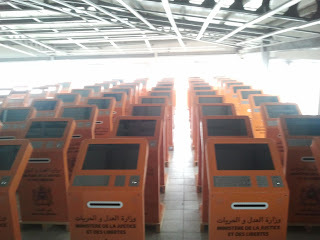 Each terminal was further equiped with usual standard components as 22 inch wide screen touch monitors, industrial metal keyboards that both offered Arabic and French language layouts, trackball devices for finer precision interaction if required and numeric pin pad for inputing encrypted password verification by staff users. 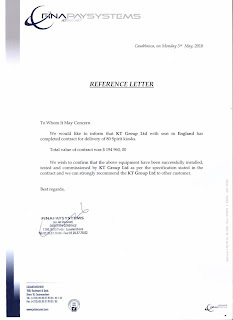 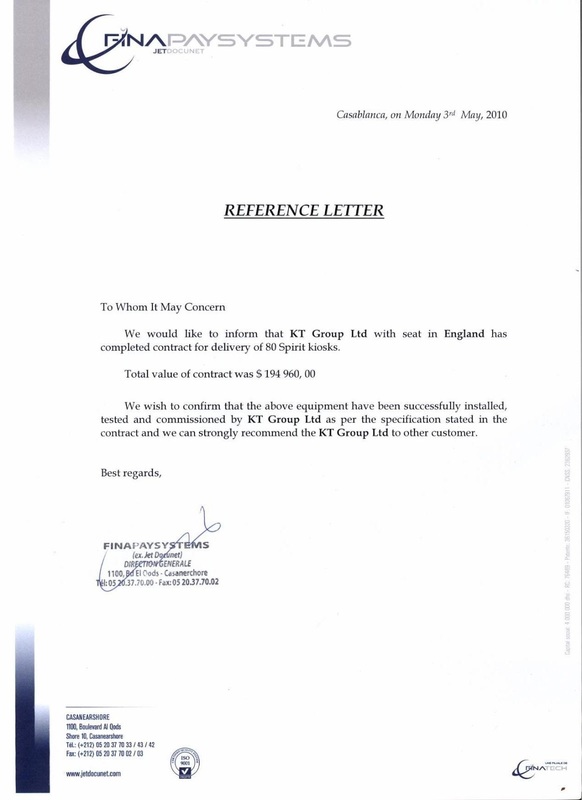 The success of project that resulted in 80 terminals being manufactured in 4 weeks with full assembly, pre test of each terminal and packaged for shipping by sea freight ensured that KT Group was proud to receive a commendation from its partner that anchored its recommendation that both Ministry and its appointed local IT services partner Finapaysystems approved KT Group as a effecient and reliable outsoucing manufacturer that understand how to approach requisites that RFP had outlined originally. 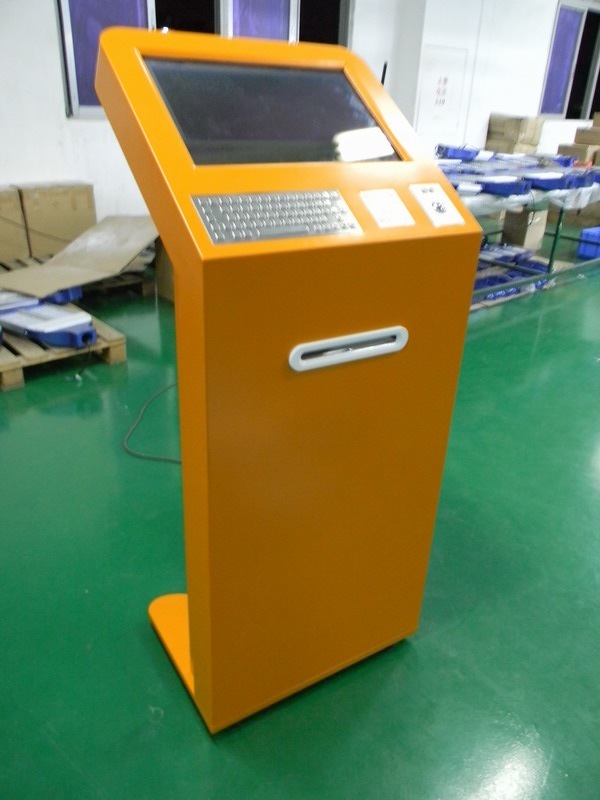 KT Group Ltd has built a decade of working in self service solutions industry as a reliable OEM manufacturer for elite IT solutions and services based clientele it works with and supports in manufacturing as well as all important after sales technical support.